This is one of my all-time favorite things to make, and I often prepare it when I think I need a “light meal” after I’ve had a couple of fat days. 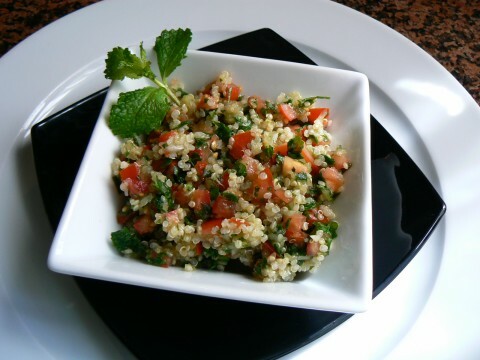 Quinoa, which a grain high in protein content, replaces bulgur wheat, so it’s perfect for vegetarians. You can find the recipe here.